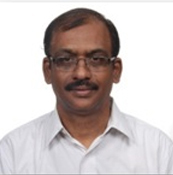 Mr. E.H. Kasturi Rangan started his career practicing as a chartered accountant for more than a decade. He joined Redington in 1999 as its Credit Consultant and was instrumental in developing the Company's system for granting credit facilities to channel partners. In 2004, he took over the responsibility of Operations including Supply Chain Management. In 2006, he was entrusted with the responsibility of developing the Non IT Vertical. Prior to being appointed as the Whole-Time Director of Redington, he was the Joint Chief Operating Officer of the Company. 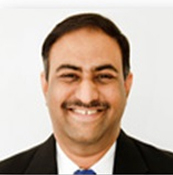 Mr.P.S.Neogi joined Redington Singapore in 1992, handling its Epson, Intel and NEC businesses. 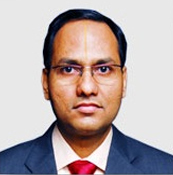 He joined the Company in India in 2000 and has overall professional experience of 23 years. Presently, he is the Joint Chief Operating Officer (IT Division). Prior to joining our group, he was employed with Elof Hansson (India) Private Limited; one of Sweden's largest trading houses, as a Marketing Manager. Mr. S.V. Krishnan is a Chartered Accountant, Cost Accountant and Company Secretary. He has over 13 years of industry experience and joined Redington in May 1998. He is currently group CFO of Redington. Prior to joining Redington, he was employed with Ashok Leyland Ltd.
Mr. Rajesh Neelakanta is a Logistics Management professional with an overall work experience of over 26 years, across varied function, viz., Sales & Marketing, Operations Management, Profit Centre Management, Solutions & Engineering, People Management, Customer Relations Management and a host of other organisation building endeavours, across the Logistics domain. 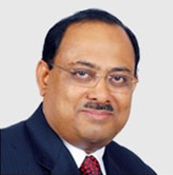 He is the ED & CEO of BVC Logistics Pvt Ltd.
Dr. N. Chandrasekaran, has a PhD in Economics – Financial Management and is a certified Supply Chain Management Professional, a professional certification process by American Association of Operations Management. 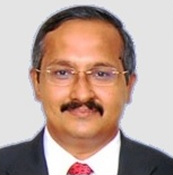 He serves as Director, Jansons School of Business, Coimbatore and a Management Consultant in the area of Strategy and Supply chain. Mr. Stephen Aranha resigned from the Board w.e.f 18th May 2016. Mr. K Muthukumaran resigned from the Board w.e.f 18th May 2016.